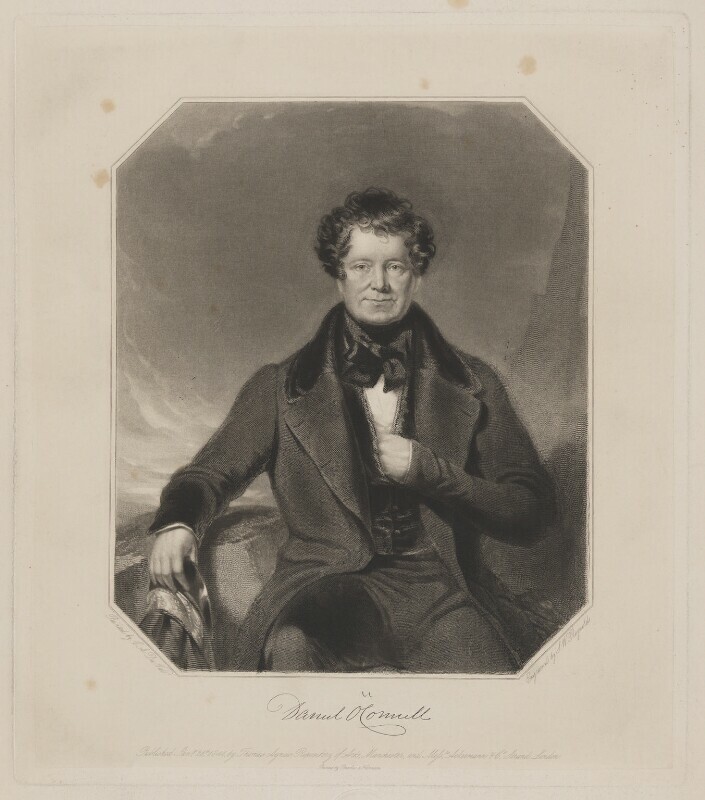 Daniel O'Connell (1775-1847), Irish politician; MP for Dublin City and Cork County. Sitter associated with 217 portraits. Ackermann & Co (active 1829-1859), Printseller and publisher. Artist associated with 76 portraits. Thomas Agnew (1794-1871), Art dealer. Artist associated with 59 portraits, Sitter in 1 portrait. Brooker & Harrison (active 1842-circa 1906), Printers. Artist associated with 50 portraits. Charles Allen Duval (1808-1872), Portrait and subject painter. Artist associated with 24 portraits. Samuel William Reynolds Jr (1794-1872), Mezzotint engraver. Artist associated with 69 portraits. Britain experiences a railway boom. Peel's government passes a series of Acts creating provision of cheap, regular rail services. George Hudson, the first great railway entrepreneur, who controlled over 1,000 miles of railway track and whose enterprises made York a major commercial and transport hub, becomes known as 'the Railway King'. Disraeli's Coningsby is published. The first of his 1840s 'Young England' trilogy, it was the cultural manifesto of Disraeli's vision for a new Conservativism, uniting the two nations of the rich and poor. David Octavius Hill and Robert Adamson set up their innovative and pioneering photography studio in Edinburgh, capturing portraits of both Scottish society figures and workers, as well as urban and rural landscape scenes. Tensions continue to mount in Eastern Europe over Russian imperialist ambitions, as Tsar Nicholas I describes the Ottoman Empire as 'the Sick Man of Europe'. With the overthrow of the Haitians, the Spanish-speaking portion of the island of Hispaniola gains independence, as the Dominican Republic.